It is an oasis in the foothills, a hidden gem with amazing views of the Catalina Mountains. But Hacienda Del Sol has not always been a resort. It actually began in 1929 as an all-girls school. It was the dream of Tucsonans Helen and John Murphy. They helped with the construction and decorating of the Hacienda Del Sol Ranch School for girls. "You'll recognize some of the names of the girls who went to school here," said current Hacienda Del Sol Managing Partner Tom Firth. "Vanderbilt, Pillsbury, Westinghouse, Spalding, Campbell, the elite families of America sent their girls to come to school here." In 1942, with the world at war, the all-girls school closed. After World War II, it was converted into a resort. 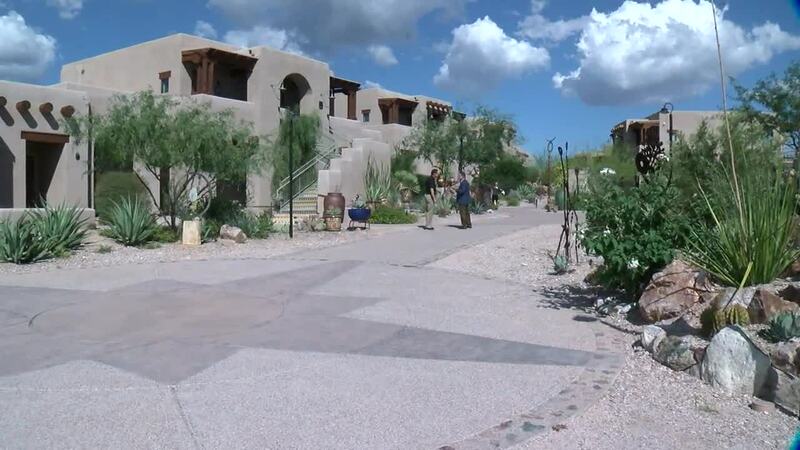 Hacienda Del Sol attracted many of the silver screen stars filming at Old Tucson. John Wayne and Clark Gable stayed at the Hacienda. So did Katharine Hepburn and Spencer Tracy, said to have met for their romantic rendezvouses. During the 1990's the resort fell on hard times. Tom Firth and his business partners purchased Hacienda Del Sol in 1995, restoring and expending the resort into the 59 room boutique luxury resort it is today. "We just had a vision for something grander," said Firth. "But we've really tried to honor and maintain the architecture over all these years." The old dorm rooms have been converted into guest rooms, each double the size of the original rooms. Recently remodeled and very well appointed, they each bear the name of one of the original girls or Hollywood elite who stayed there. Hacienda Del Sol also has also expanded in recent years, with 32 new guest rooms and a spectacular view. They also feature great food at The Grill and Terraza Garden Patio. But Firth realizes this is still a well-kept secret from many Tucsonans. "There's a lot of people that come up here and say gosh I never knew this place was here. Because we are tucked into the foothills." A hidden gem and Absolutely Arizona.